After Watson’s shot, Chambers had a game-winning attempt for the second year in a row, and Wesley Saunders’ tip clung onto the rim — but neither fell, forcing overtime. (The final 20 seconds were played with both teams out of timeouts, making the action fast and furious.) 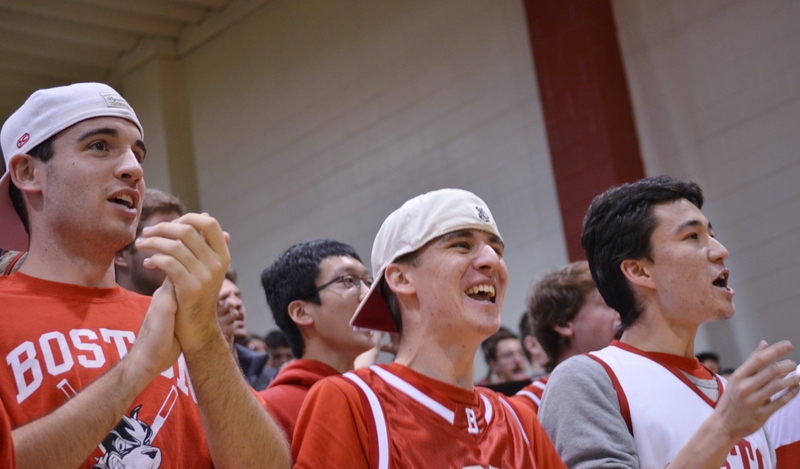 The extra five minutes were relatively anticlimactic; after both teams exchanged two-pointers, Harvard scored the final 11 points of the game, all from the free-throw line, as turnovers on three straight possessions sunk the Terriers. 3. Harvard won with a lot of things going wrong… Wesley Saunders scored 25 points, but he needed a ton of possessions to get there: 24 field-goal attempts, 10 free throws and three turnovers. Harvard’s true post players were held quiet, with Steve Moundou-Missi, Jonah Travis and Evan Cummins combining for only seven field-goal attempts. And the Crimson, usually a strong defensive rebounding team, gave up a season-high 15 offensive boards to the Terriers (37 percent). Each time Harvard went on a run in regulation, BU stormed right back; beating good teams on the road is very hard, and BU is definitely a good team. …but that doesn’t mean the Crimson wasn’t lucky. The Terriers shot just six-for-24 from three-point range, and most of those attempts were open. They missed eight of 20 free throws in a game that went to overtime. Twice, goaltending non-calls went against BU after the shooter had been fouled, and while I think the right call was made both times, they were awfully close. Watson had eight assists for BU, but with the quality of other shots he set up, it should have been at least double digits. “If we make a few more shots that were open, we’re right there. But it just didn’t go all way,” BU coach Joe Jones said. Bonus: Is this box score from last year? One of the Crimson’s supposed strengths entering the season was its depth, but with Brandyn Curry still sidelined due to injury, that depth is sorely lacking in the backcourt. In an overtime game, Chambers played all 45 minutes, Saunders played 44, and Laurent Rivard played 43. 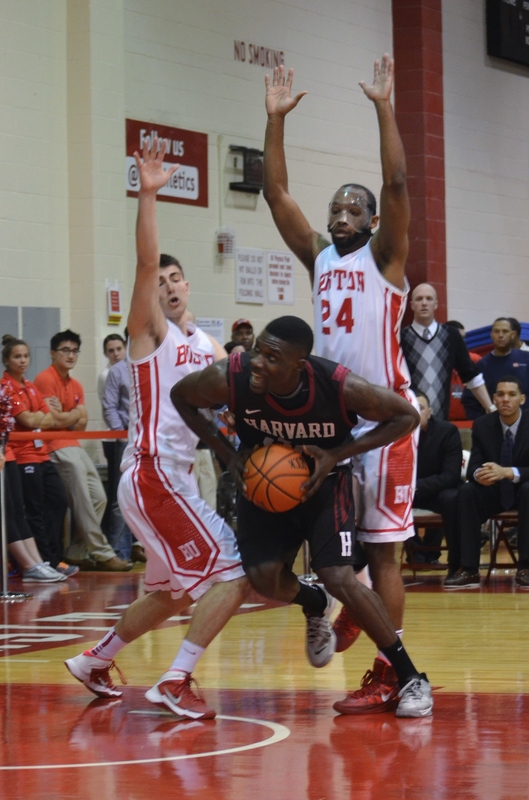 The Crimson didn’t exactly wear down last season with that trio playing nearly every competitive minute, but when Harvard enters the back-to-back Ivy League schedule, it should find a way to give its guards more rest. This entry was posted in BU, Harvard, Three Pointer and tagged Boston University, BU, BU basketball, Case Gymnasium, Harvard, Harvard basketball, Joe Jones, John Papale, Kyle Casey, Maurice Watson, Siyani Chambers, Tommy Amaker, Wesley Saunders. Bookmark the permalink.